PHOTO BY: FLICKR/BUNDESMINISTERIUM FÜR EUROPA, INTEGRATION UND ÄUSSERES /CC BY 2. The the Austrian Chancellor referred, among other achievements, to increasing Frontex to protect the EU’s external borders, to strengthening the internal market and drawing the EU’s attention back to the Western Balkans. Austrian Chancellor Sebastian Kurz thanked the European Parliament for the successful cooperation and promised to continue contributing towards strengthening the EU. Fifty-three successfully concluded legislative procedures, an initiative against anti-Semitism, the Africa Forum, preliminary work on the negotiations on the EU’s long-term budget and new ideas on revising the EU Commission’s asylum proposals; these have made the Austrian Presidency one of the “most successful in the EU’s recent history”, said European Commission President Jean-Claude Juncker on Tuesday morning during the European Parliament’s closing debate on the six-month Austrian Presidency of the Council. 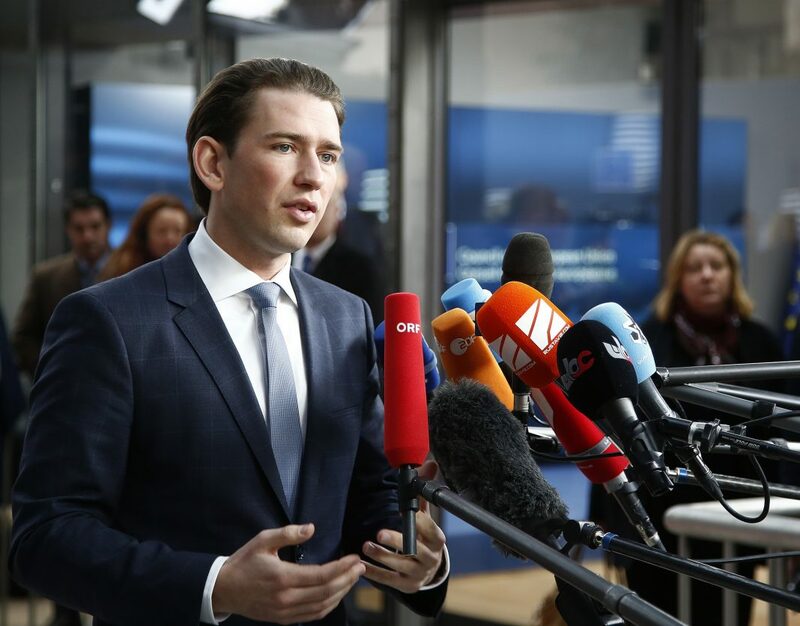 In his own reflections, the Austrian Chancellor referred, among other achievements, to increasing Frontex to protect the EU’s external borders, to strengthening the internal market and drawing the EU’s attention back to the Western Balkans. On Brexit, Chancellor Kurz said that the EU has been irreproachable during negotiations, even if the vote in the British Parliament could be negative. He voiced his hope that the EU will continue to speak with one voice in future negotiations with the UK. EPP group leader Manfred Weber (EPP, DE) and Jan Zahradil (ECR, CZ) praised the excellent work and results of the Austrian presidency. Pavel Telicka (ALDE, CZ) would have wished for more ambitious budget negotiations and Liliane Rodrigues (S&D, PT) for more progress on the social pillar.